The 3 year old 'S' Shape ficus is a living artifact which has been given the twisted shape of 'S' over a period of 3 years. It is very strong plant which gives a feel of miniature tree in your home. First of all kudos to flaberry for the wonderful packing and delivery. I was skeptical about the condition of a bonsai on delivery but everything was perfect. This is first time I am buying a bonsai. I read online that fending for a bonsai plant is difficult. 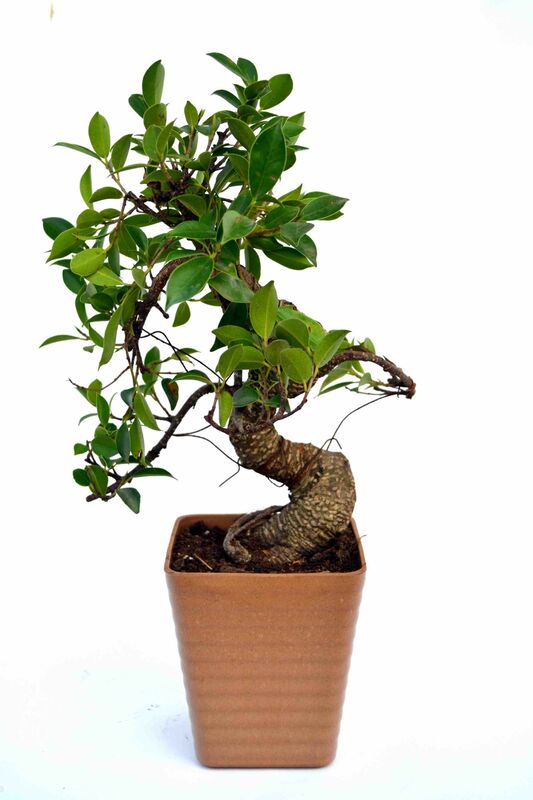 But, this bonsai plant has been simple to fend and maintain and adds a great serene feel to our home. Thanks Nurturing green.